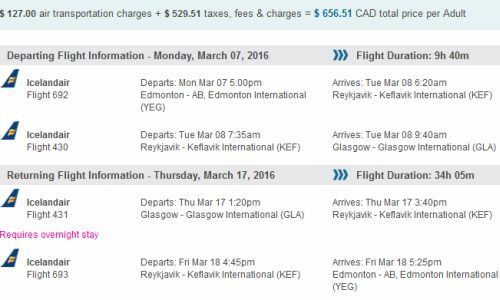 Icelandair has dropped the price of some of their Edmonton - Glasgow, Scotland flights down to $656 CAD roundtrip including taxes. FlightNetwork is ranked #3 in the Third Party Booking Site Power Rankings. edmonton, yeg, flight deals, europe, western europe, northern europe, united kingdom, icelandair, glasgow, scotland, gla and flightnetwork.